An interview with Sanjay Razdan, a leadership expert who creates, leads and empowers teams to implement and grow profitable ideas. Find him on LinkedIn or on Twitter @SRazdan. About a year ago, Sanjay Razdan transformed a multi-million pound new technologies business, including the space sector, using his ‘innovation recipe’. That’s impressive, but what if I told you he’s repeated the same recipe every few years for the last two decades, in unrelated industries, with similar results? If you’re a leader in charge of innovation and turning ideas into profitable growth, this article’s for you, regardless of your industry. But before we get into why the recipe works, let’s itemise Sanjay’s ‘ingredient list’ and what it covers. Combining these ingredients means Sanjay keeps the company’s cash flow steady over the first year, brings in profitability through innovation in the second year, and finally, in the third and fourth years, finds replacements to grow the team and achieve sustainability. Sitting with Sanjay in a large open hallway (he doesn’t believe in closed offices) I asked why he qualified as an authority in taking on ideas and making them happen. Without pause he confidently tells me it’s because he has a ‘very strong scanning power’ to understand his team’s and his own competencies – a sharp focus on what competencies exist and are missing when he joins a new project or company. Tangibly, how do you sell a new idea to those three levels? Let’s illustrate how with an example. Before his current assignment, Sanjay worked in the bank note printing industry. When he came into the business he saw that, besides printing capabilities, the business had valuable, untapped technology. The printing business was the cash generator, but Sanjay realised that nobody knew what to do with the technology. However, the technology was an important part of the total solution, because the company wasn’t selling central banks merely the capability to print bank notes; it was providing the technology, too. For one of the countries, the challenge was how to reduce inventory of cash and increase security. For one client, the challenge was how to reduce inventory of cash and increase security. Sanjay understood that talking about machines didn’t make any sense to the senior executive. “He would have immediately put me down to an operation level and told me to work with them to sort it out. And then I started to think: first, he could lower his costs by improving or decreasing the inventory; secondly, he could gain knowledge about his inventory and understand at any given moment where the cash was. That’s a security-side improvement.” Sanjay reframes the solution by talking about the challenges, and communicates at the right level, i.e. not by telling him how fast their machines are or how great their technology is. “The conversation at the executive level begins like this: ‘Hey, we did some homework. Today you have 60% inventory in the country and because of X reasons, the industry has been keeping between 40-60% cash reserved, yes? But, you have the potential to bring it down to 20%. By doing that you will make X amount of saving, without even touching your staff levels.’ That creates a wow for a senior executive. Then you tell him that he can also identify which cash centre has what. Now you’re selling it in at the managerial level. 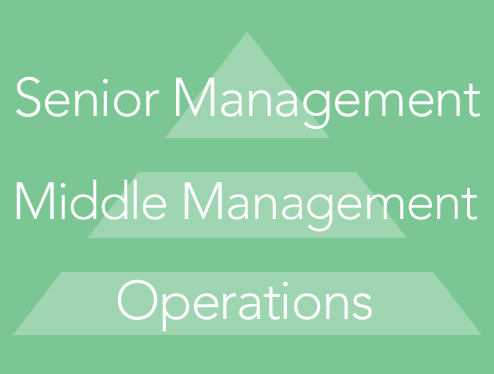 Your solution improves management. You can even help manage where the cash went. You can see the life story of the cash. Many innovators hit ‘focus failure’. So let’s have Sanjay take us through this common challenge. A company is struggling – let’s say there’s a plethora of ideas but they’re losing money, bleeding. They need someone who can identify a game plan to get back to profitability. What are the common things that are often failing? Is there a common thread amongst companies regarding why things are not happening? I mused that it must upset people, though, when he goes in with that approach. Some people will say, ‘Well, you’re completely dismissing our ideas’. There’s a bit of a kick back, isn’t there? Sanjay said it, and I think there’s a huge point to be made here: too many initiatives. If there are lots of promising ideas, management might think they all sound fantastic so why say no to any of them? Is Sanjay saying that in a given year, you should have one core focus with perhaps a few others on the side? Or just a small handful of things? How does this focus appear, realistically? Initially, all of Sanjay’s activity is aligned with profit and loss: “There is limited time and limited resource. How can we fit and maximise value within those limits? I tell my team that in everything we do, there are four main areas on which to focus and improve. The first I call profitable growth; the second, productivity improvement; the third is people development; and the fourth I call innovation of technology and organisation. “I tell the team members that if they’re impacting any one or more of these four focus areas, then go for it. If there’s something outside of these, then we need to discuss. In this way, you start having very clear messages within the team, and discussions based around common problem solving, which I like to call Organisational Alignment workshops; we talk about opportunity gaps and performance gaps, and about key success factors, vision, and strategy as the top three offerings that make us unique. Does this team setup apply to smaller companies? Is the way that Sanjay builds the team – especially with those four personality types – applicable to you, the person reading to this article? If you lead a small or medium enterprise, with anywhere from a handful to 50 employees – is this approach relevant, or is this exclusively for large enterprises?